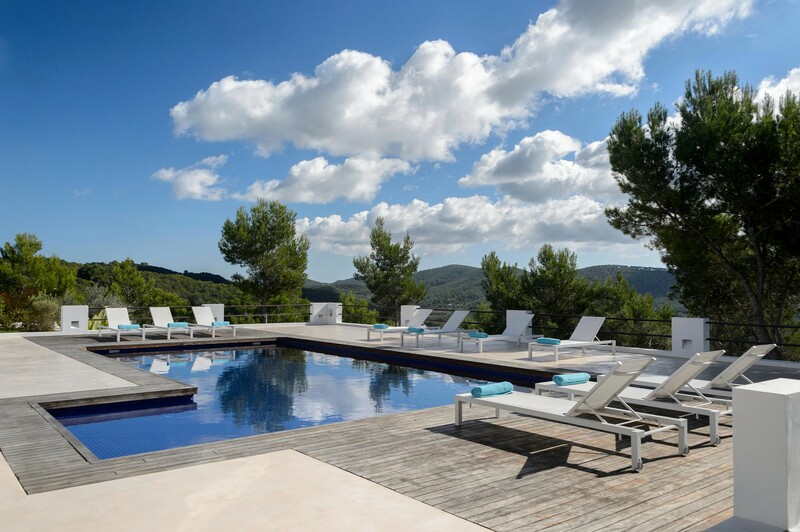 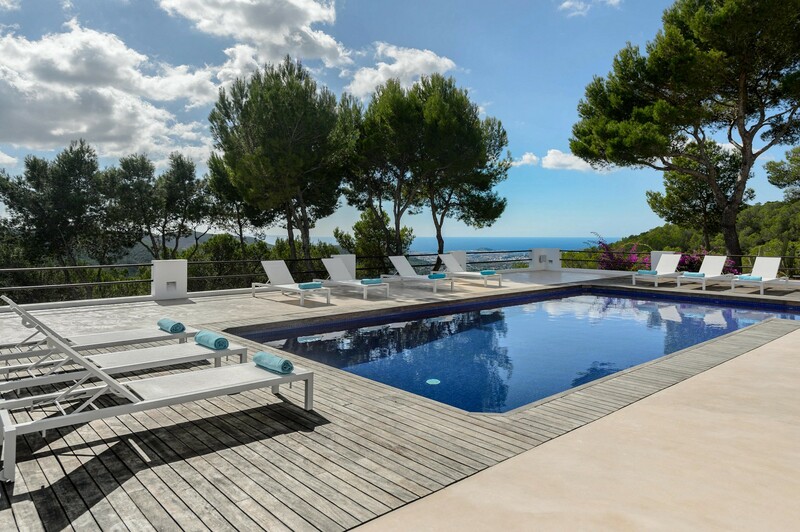 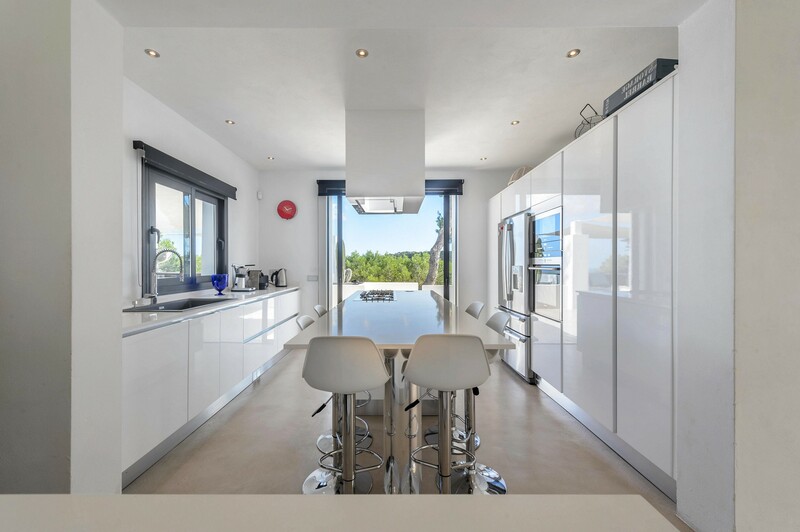 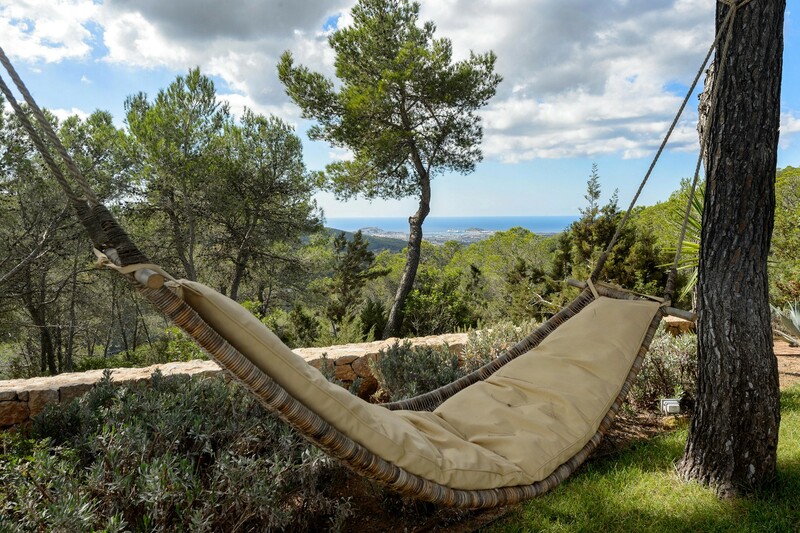 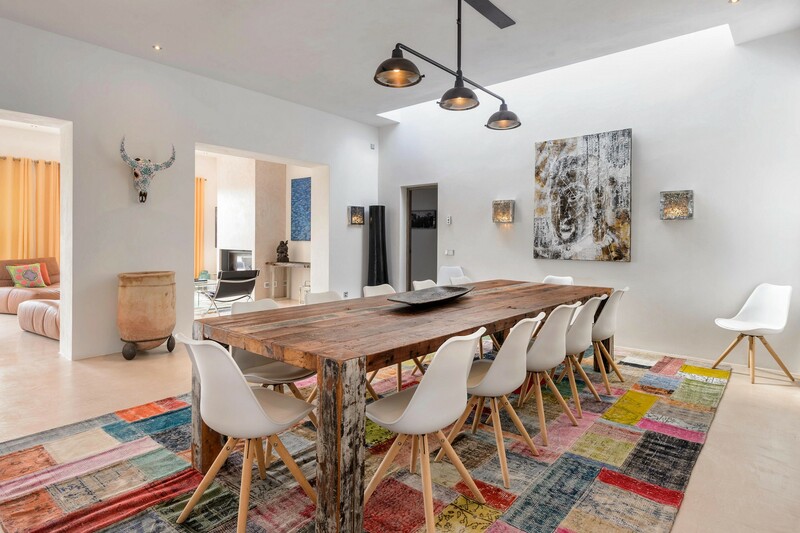 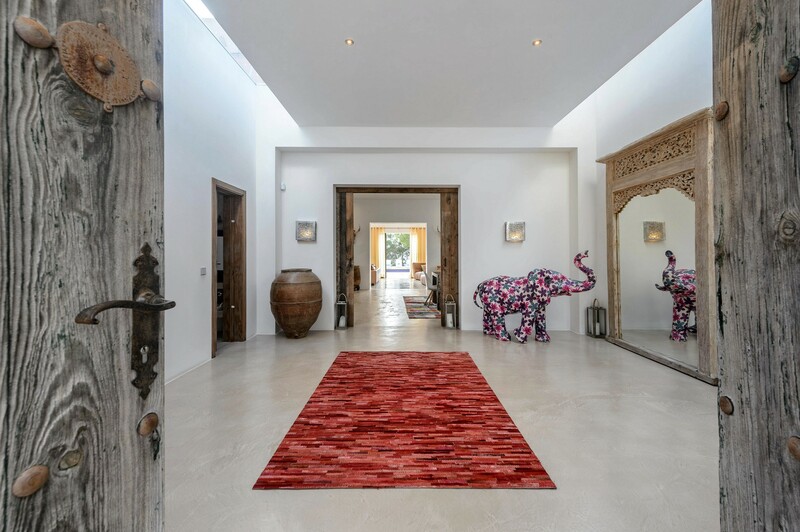 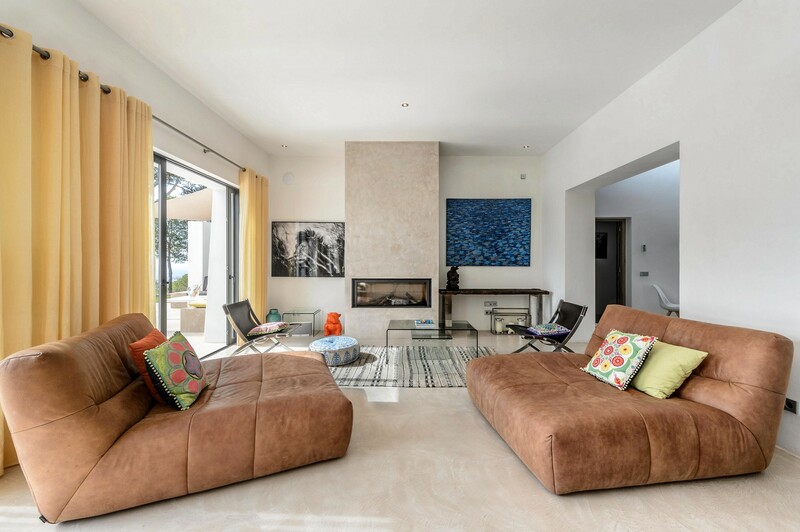 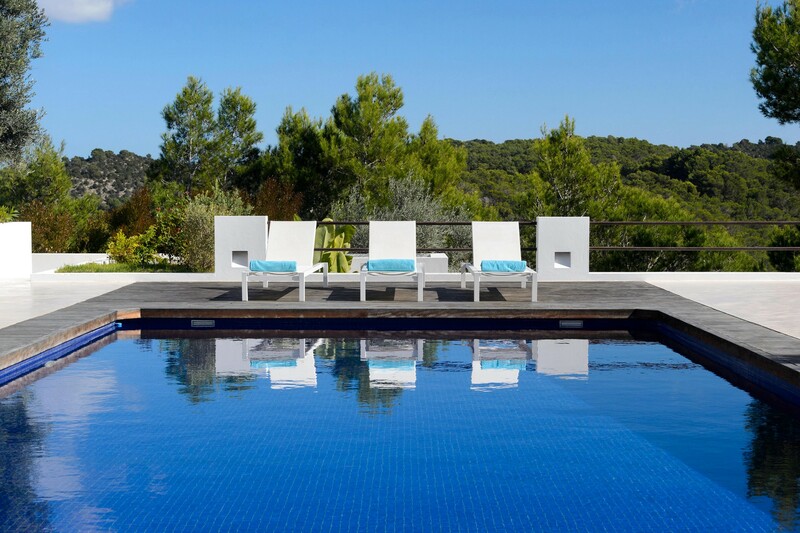 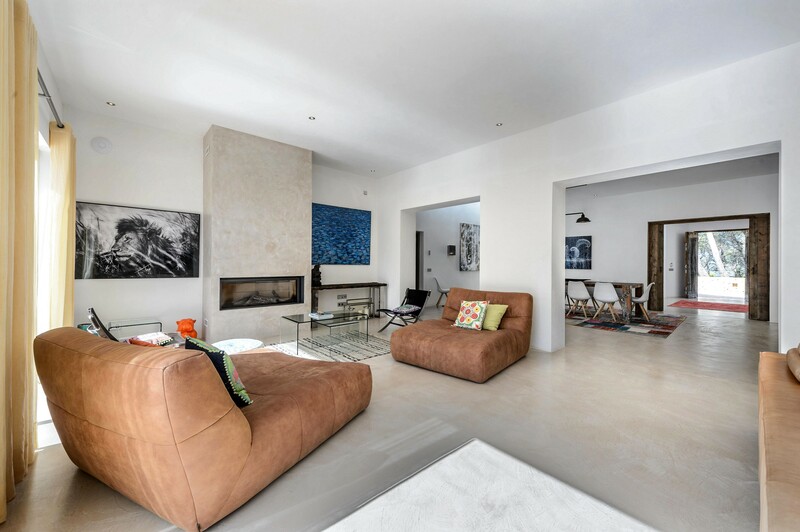 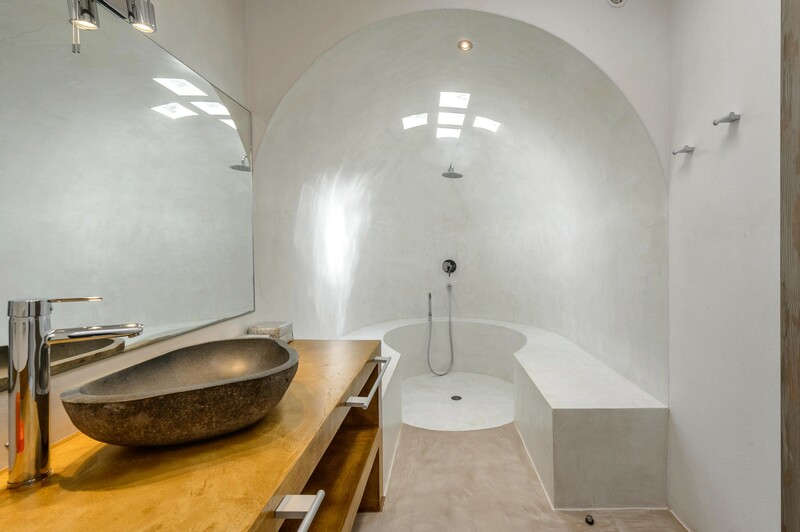 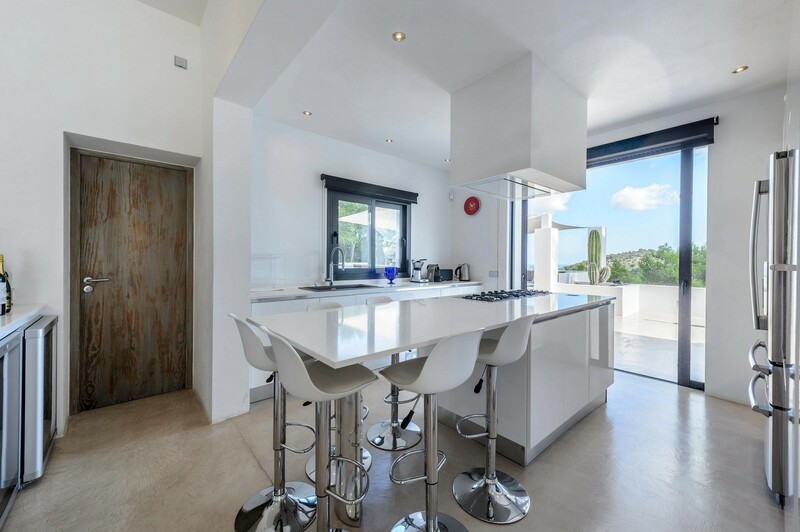 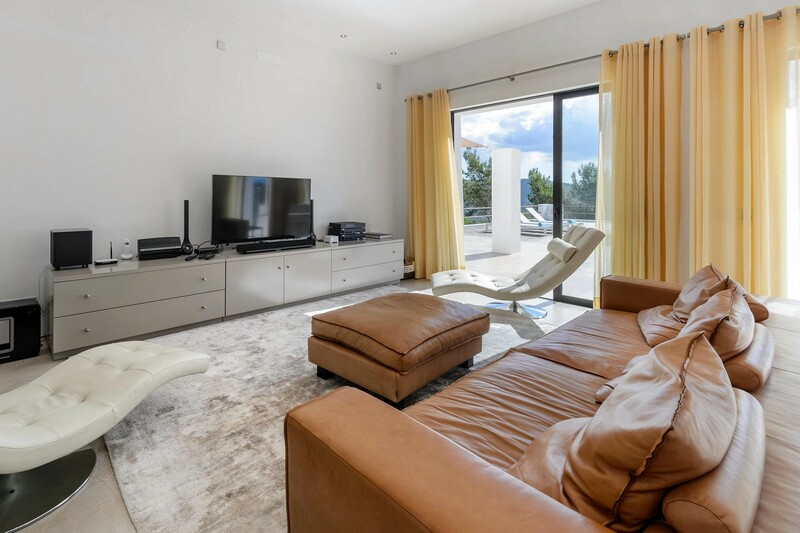 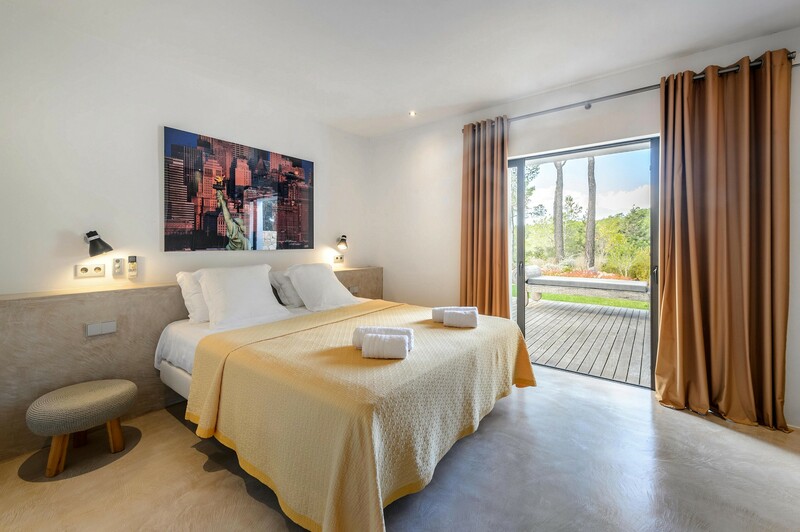 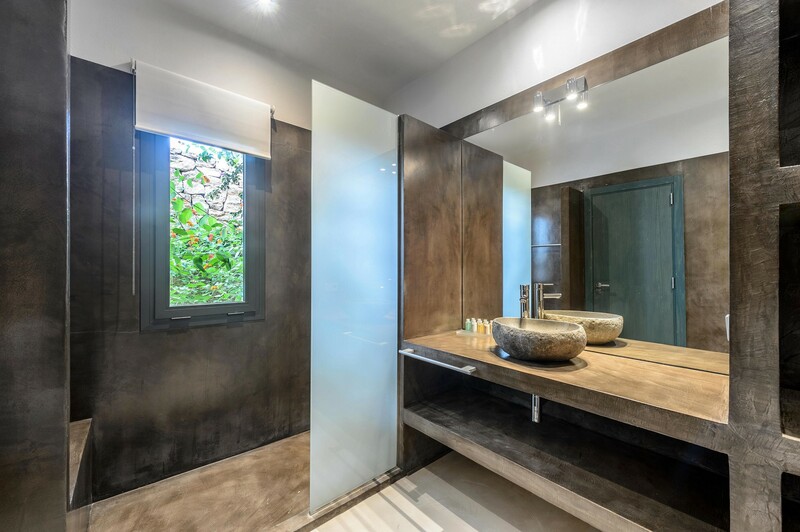 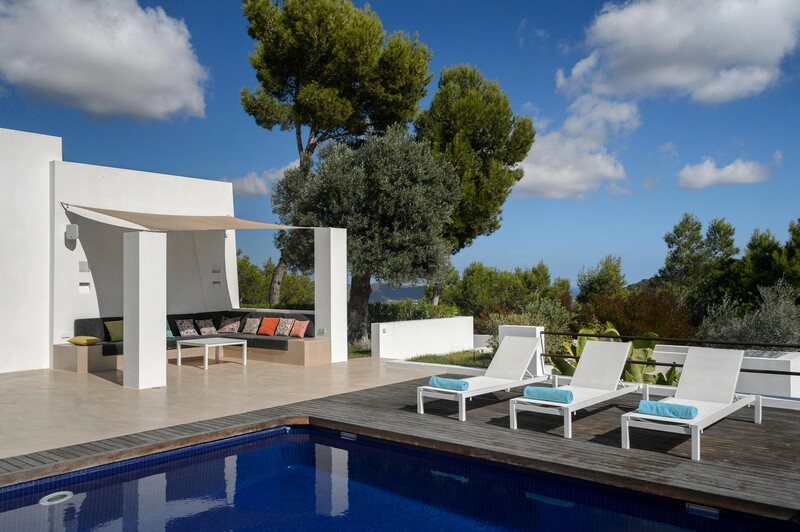 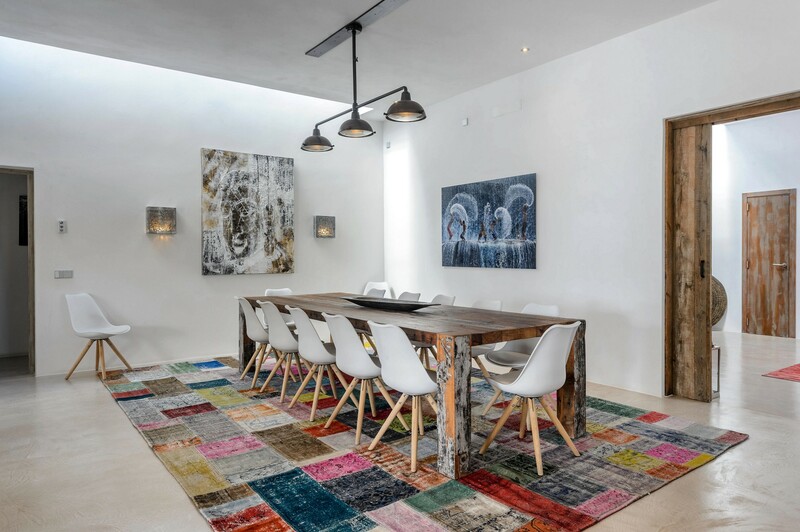 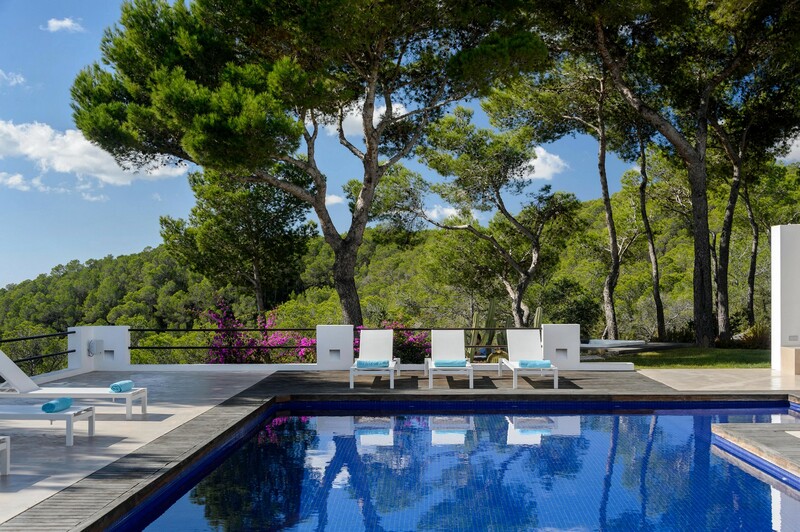 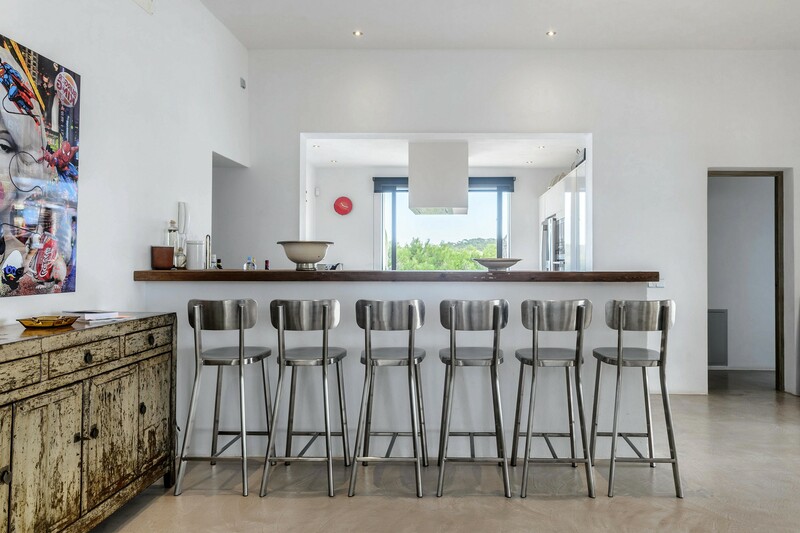 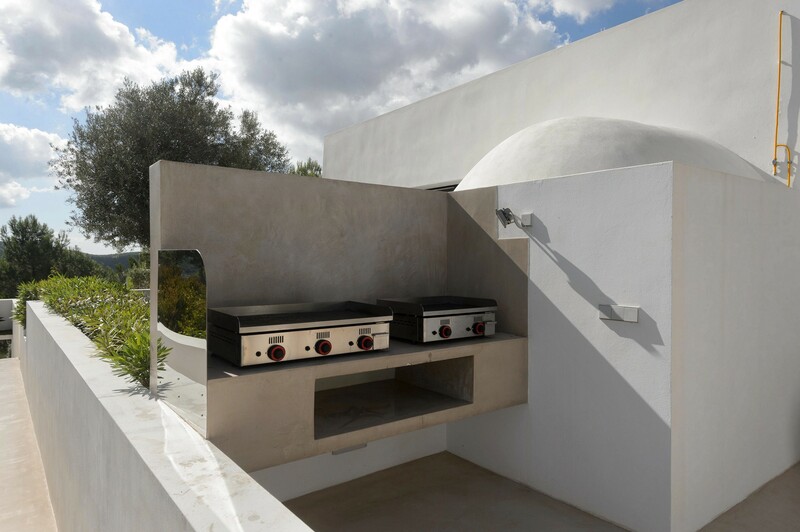 This wonderful villa is set in an area of gentle green hills, located in the immediate vicinity of the small town of San Rafael, a small and relaxing Ibiza village with shops, boutiques and great restaurants. 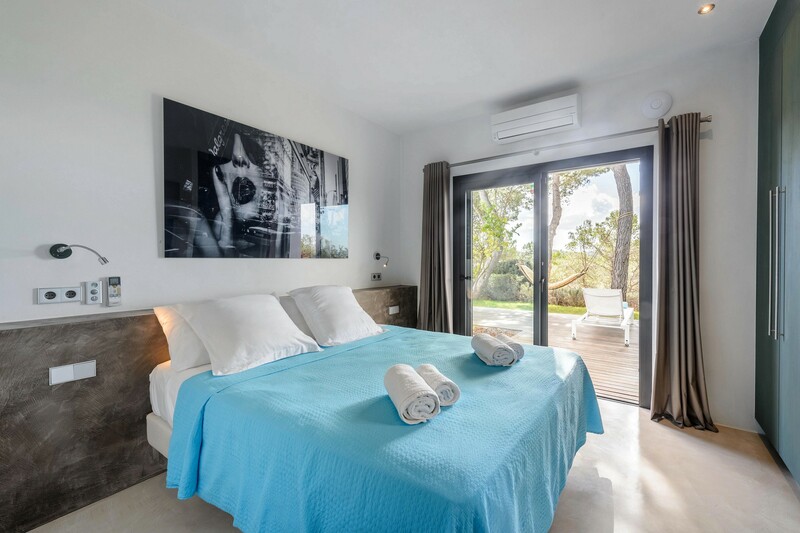 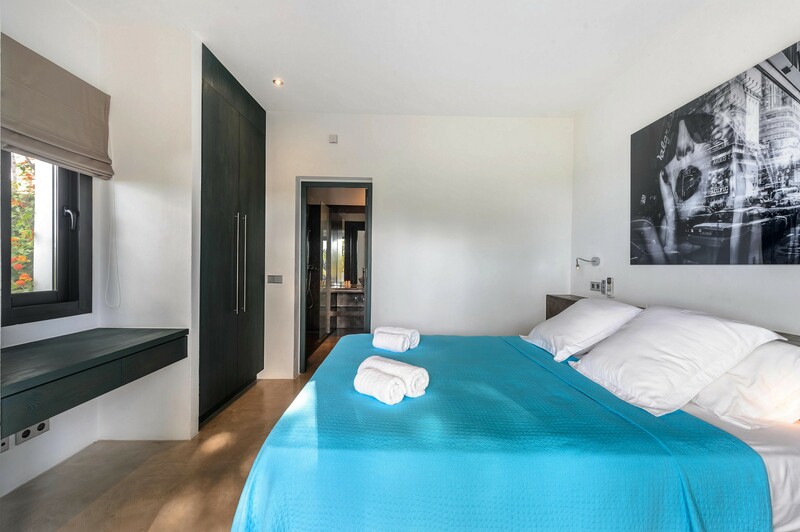 The house is surrounded by a well-kept garden with barbecue covered with table and chairs and a pool (5x10) with sun loungers and offers safe, alarm, air conditioning and wi-fi internet access. 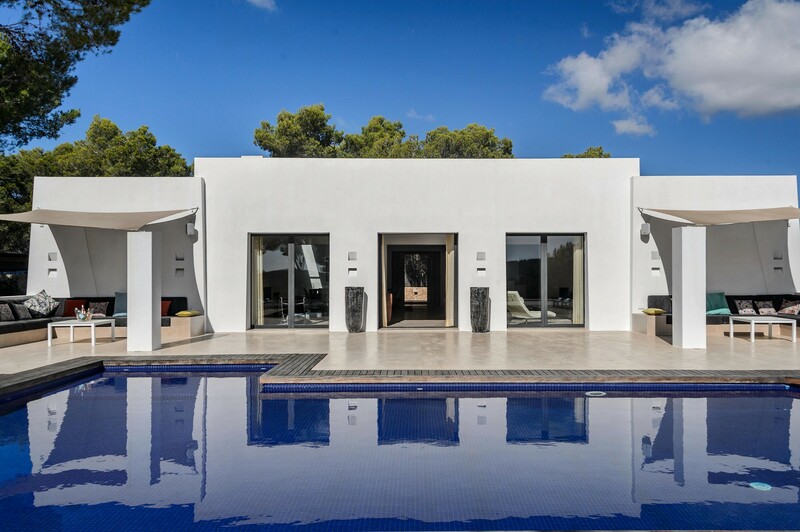 Entering the villa we find a large and elegant living room with dining table, tv and sofa, a large kitchen with all utensils, six bedrooms and six bathrooms. 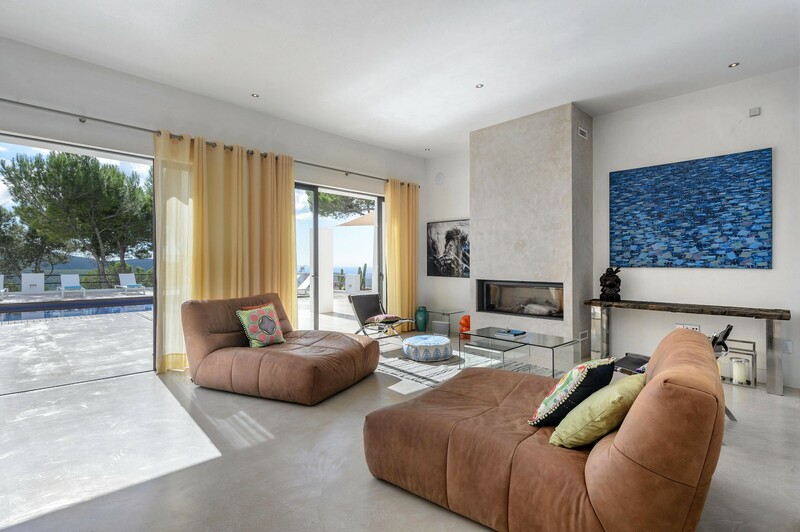 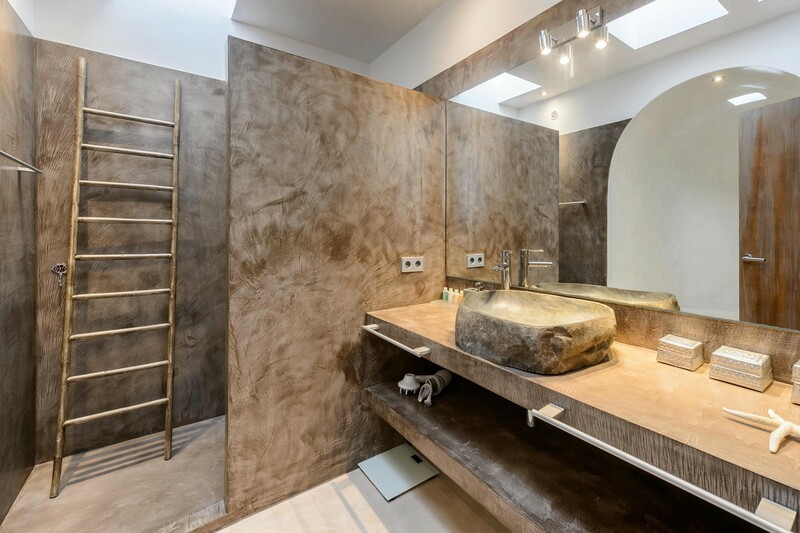 The exterior and interior spaces are very spacious and tastefully furnished. 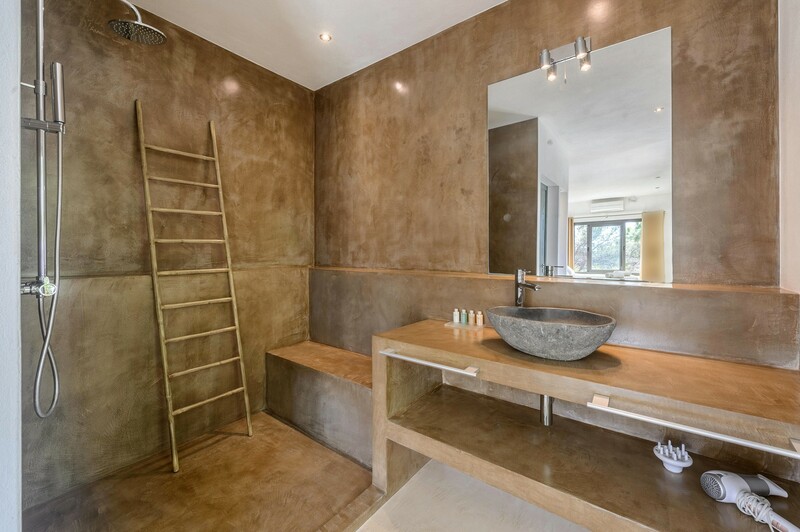 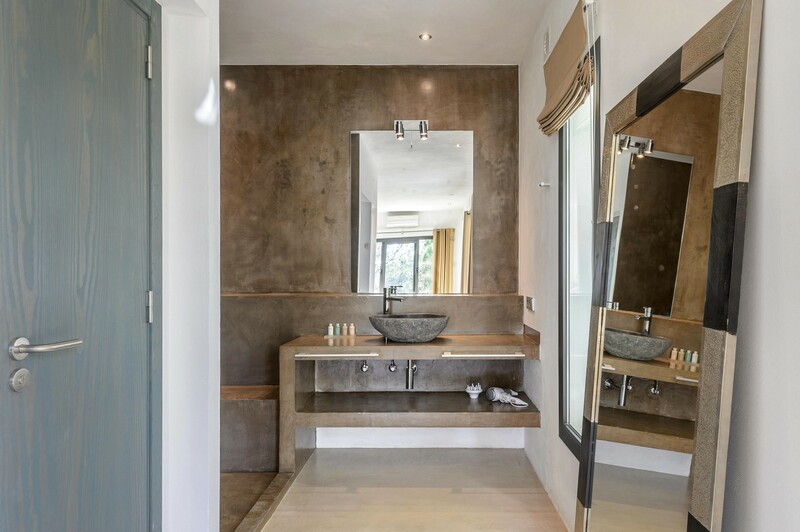 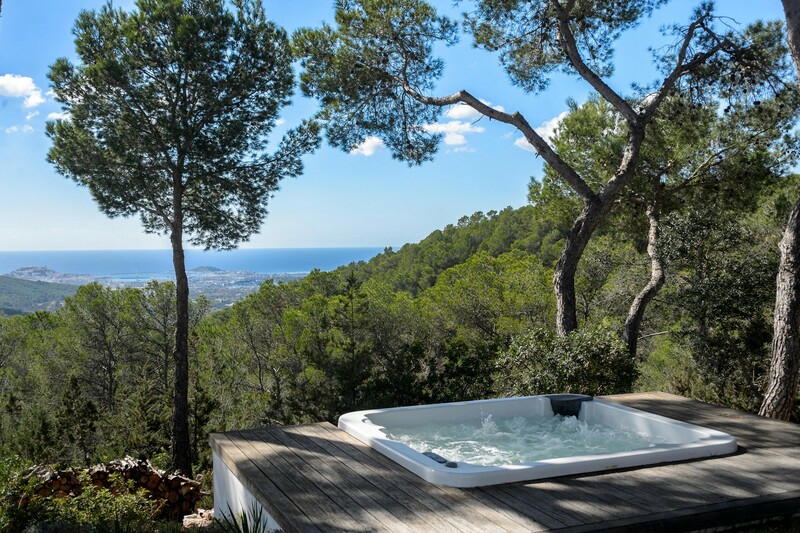 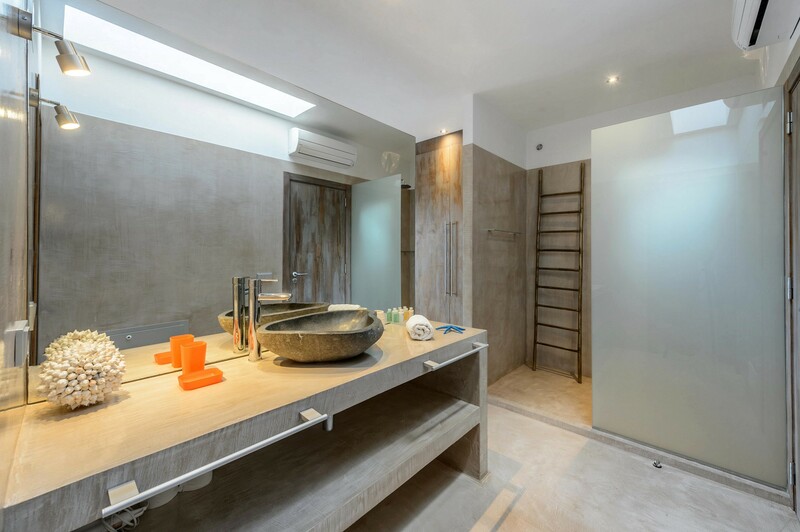 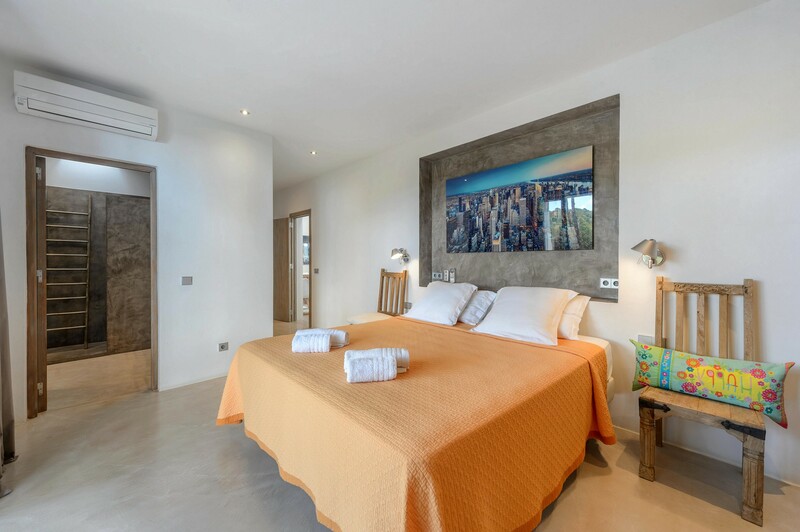 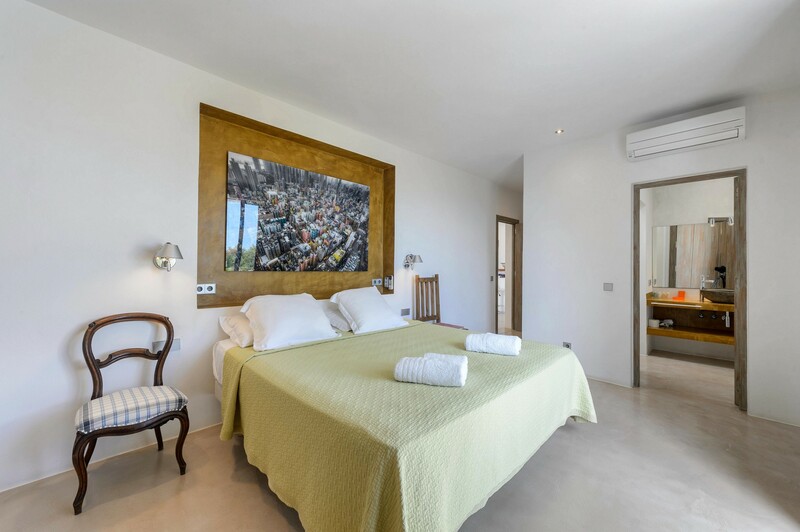 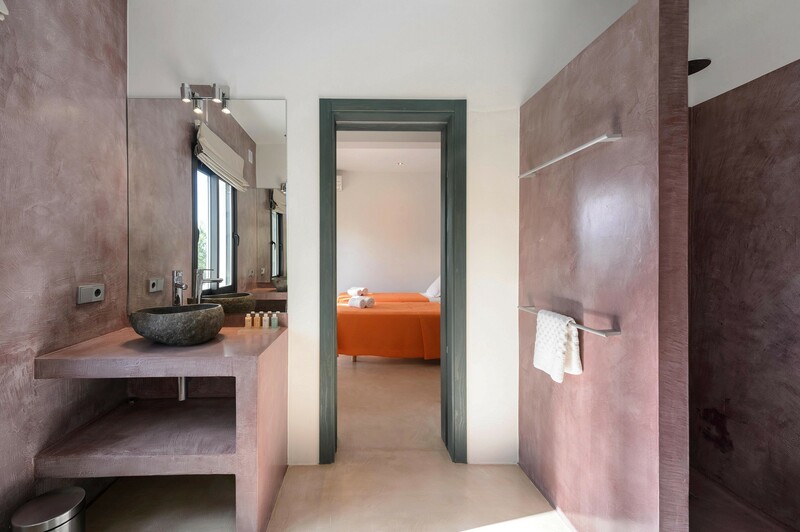 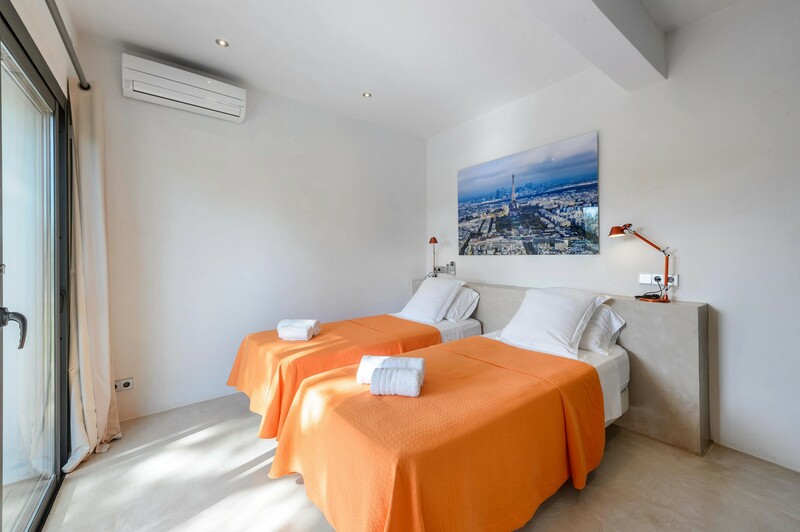 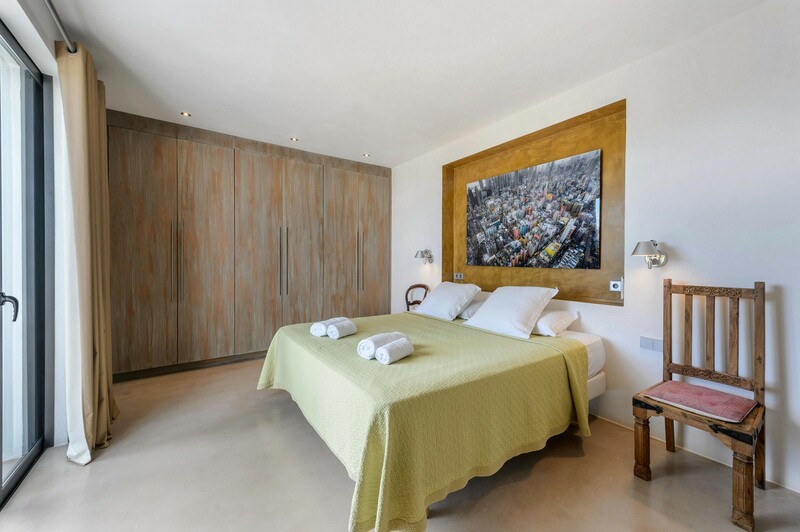 The property offers breathtaking views of the coast and the most beautiful beaches of Ibiza, a few kilometers from the property.